This is about my first silver purchase. It's a love story. It is probably not what you are expecting. Very few of the articles on this site are personal stories. I believe telling this story will help those of you who are on the fence about making your first silver purchase. So, how do I feel about precious metals? 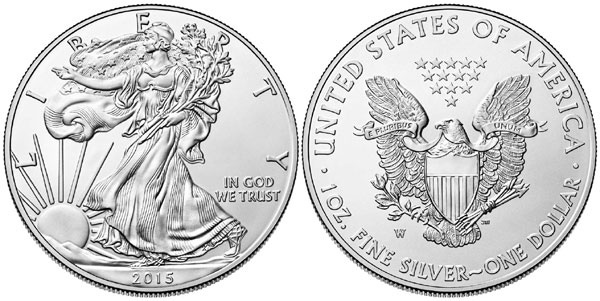 Can you remember the first time you bought American Silver Eagles? I can. Here's a little anecdote you might find interesting. The first time I bought silver bullion, the dealer I used was GoldSilver.com. A couple days after the purchase I saw the package on my door step. A feeling of excitement came over me. I couldn't wait to open the package. I tried to tear open the package. No dice. I quickly ran into the kitchen to get my scissors. Once the package was opened, it was clear that the coins were in US Mint coin tubes. The order was for 100 American Silver Eagles. There were five tubes, each with 20 American Silver Eagles. As I poured the brilliant silver coins from the first tube into my hand I had a very unusual experience. It was as if the gleaming bullion was speaking to me. It felt like the coins were saying, "Have me! Have me! Have me!" I also felt the kind of feeling you get when you drive your new car off the car lot. You know that feeling? Its that, "I have a new car!" feeling that envelops you as you drive home for the first time. The feeling multiplied as I emptied and counted the coins in the remaining coin tubes. When the coins hit my hand there was an odd tingling sensation that seemed to run part of the way up my arm. I assumed this sensation was from the well-grooved edges of the coins. It was a very curious feeling. The silver coins were unexpectedly heavy and solid. This is in stark contrast to the flimsy pennies, nickels, dimes and quarters we get in our change every day. It occurred to me that the beauty of these un-circulated coins rivaled that of a sunrise on a brisk winter morning. On one side of the coin, Lady Liberty appears to be passing through an open field toward the rising sun. She is dressed in a traditional toga bearing the stars and stripes of the US flag. In her left arm, she cradles a bundle of oak and olive branches. Her right hand extends before her in a gesture of welcome. The reverse side of the coin depicts the US national bird - the Bald Eagle. It is majestically spreading its wings around a large, star-spangled shield. In its beak is a banner with the words “E Pluribus Unum” which means "out of many, one." In the eagle's talons an olive branch and a set of arrows is clutched, apparently symbolizing that on the one hand we want peace but one the other hand we are willing to fight for it. Directly above the eagle is a triangular formation of thirteen stars representing the original colonies. My coins are stored safely now. They are doing their intended job twenty-four hours a day, seven days a week. As a result, my portfolio has an added dimension of diversification that I cannot get from stocks and bonds. I occasionally reopen my silver coin tubes to look at them. When I do, I get that same aesthetic "Have me!" feeling each time as I pour the coins from the tube into my hand. Although I have grown attached to my silver coins, I know their purpose is to protect my wealth. They are a means to an end. I will eventually sell these coins. But... only when the time is right.